When you love what you do, you do not need to push yourself out of bed every morning. Here at Swipes, we put great passion into everything we do, and we always give 110%, because we care. Unfortunately, this comes with a downside — if we do not take time to relax and think things through, we easily drain our batteries. Does that sound familiar to you? 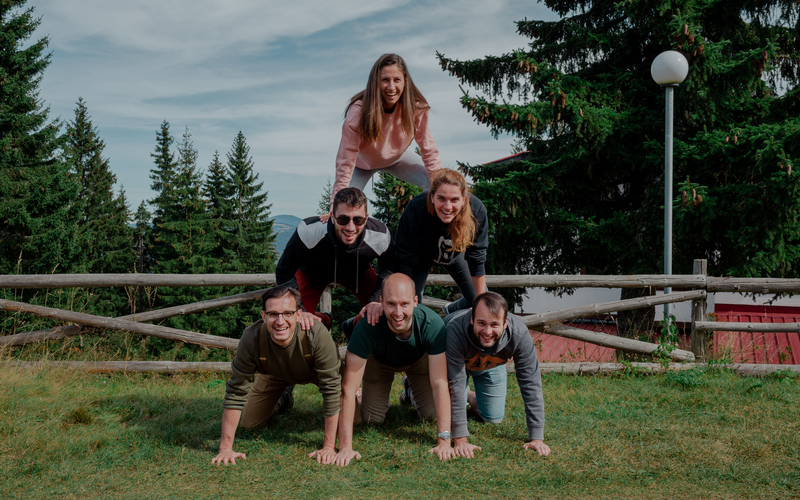 For the moments we are feeling disconnected and consumed, our team has a tested remedy - the company retreat. It is essentially a team getaway, combining some elements of team building with work on a chosen project. We believe that retreats are the best thing that can happen to a team. A company retreat is not just about sitting around the fire and singing kumbaya. It's that time of the year when you take a step back, breathe out and look at the bigger picture. And trust me, there is nothing more empowering and recharging than realizing the impact that you made with every decision and completed task along the way. We have organized many retreats before, but the last one was about regaining our strengths and finding our balance. That is why we decided to share our tips on how to turn a company getaway into the best energy booster for your team. In the moments we felt stuck with our tasks during the retreat, we would take long walks in the forest, which would sometimes turn into running contests. 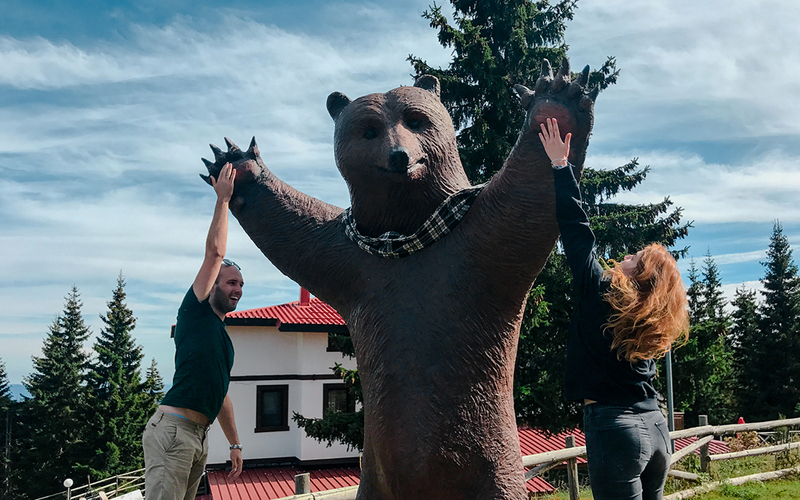 Other times we would high-five a bear for a job well-done or build a human pyramid. Company retreats might be about working closer together, but they are also about having fun. Stimulating the team with sports, cultural activities, or creative brainstorm sessions, will help you find new spirits for going ahead. 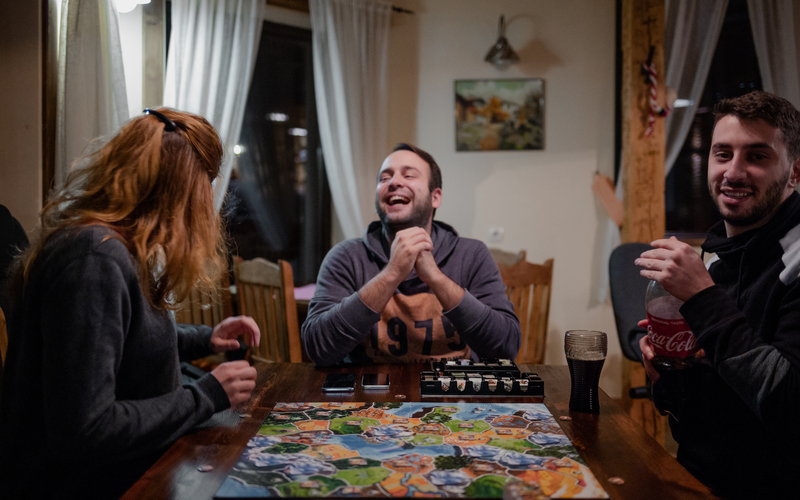 No Swipes retreat goes without Small World — our favourite board game. So naturally, we spent the evenings smashing our clans or debating on life on full stomachs. Our partners in life joined us the last day of the retreat, which allowed us to bond even more as a team. Being away from the city enables you to spend the entire day with your colleagues. And if you wonder what to do with all the time after you finish working — try playing your favourite board or card games. Share with each other your most memorable childhood stories and laugh together. Creating a strong relationship between the team members is essential to the energy of each organization. For this autumn’s retreat, we chose Mechi Chal — it is our most favourite spot when we need to recharge. Tuning out the noise of the routine gave us the time and opportunity to open up about topics we were not aligned upon — such as being on time for meetings 😅. We were able to assign responsibilities to each of us better and resolve some miscommunication issues. 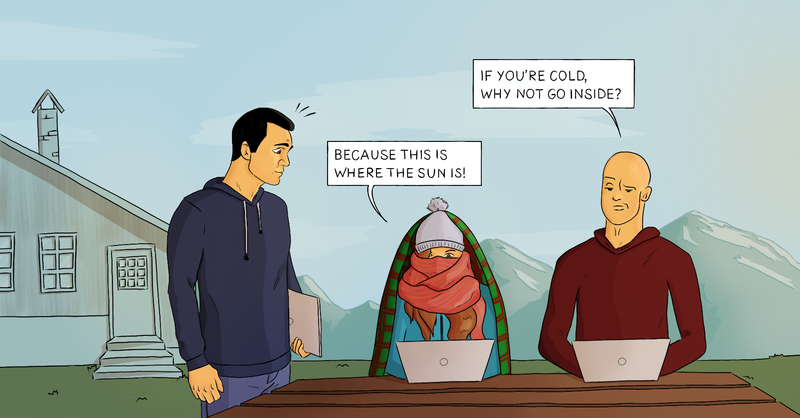 Changing the scenery from the city office to a hut in the woods impacts the way a team communicates. You have the time to talk about the things that you truly appreciate in each other or share what you would like to see improved. Fostering a channel for open communication enhances trust and appreciation between team members and ultimately, it lifts up everyone`s mood. As a Danish-Bulgarian company, we embrace digital collaboration. We work together on a project, but the work is done remotely, via collaboration tools, such as the Workspace. This is a great opportunity, however, it is not without its downsides. If your organization has a similar approach, you will know what I mean. At Swipes, we aim to do company retreats every spring and autumn. We also travel between offices in Bulgaria and in Denmark and stay connected in person as much as possible. At the end of the day, nothing compares to direct and personal cooperation. 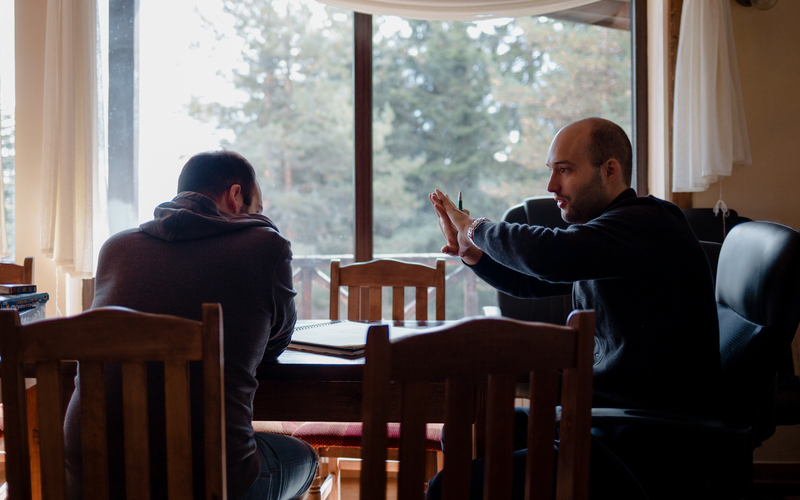 Frequently scheduled retreats allow remote teams to get this invaluable time together. It also creates a better sync between the team members. The projects are executed with ease, so you feel recharged from the work going so smoothly. While working together from the same place, I was amazed by the energy that was flowing through all of us. With each passing day, we grew closer together as a team, which created a great momentum in our work. And hey, did I already mention we did an epic pyramid? Spending so much time together allowed us to openly share what’s on our minds. We were able to solve some piled up issues, which was really liberating. And now we are all back in our office, relaxed, recharged and ready to take upon more challenges. So what are your tips for boosting the energy of your team? We would love to learn a new trick!